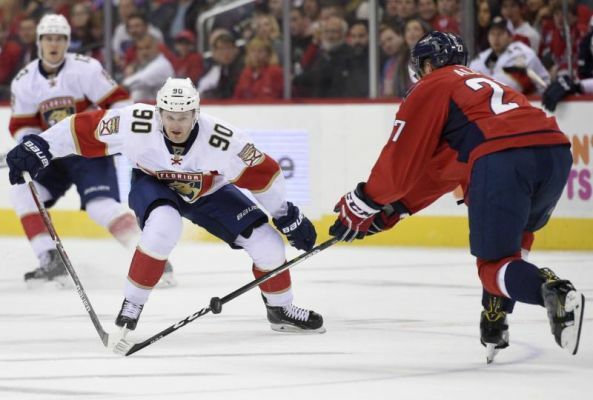 The Washington Capitals extended their win streak to five games with a 4-2 victory over the Florida Panthers Saturday. The Capitals scored three unanswered goals in a five minute span in the third period. 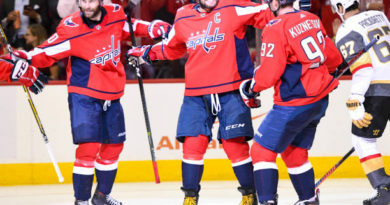 “We’re hard to beat when we’re playing fast,” Capitals forward T.J. Oshie told Comcast Sports Network. Captain Alex Ovechkin’s tip-in goal at 8:42 started the spree and tied the game at two. Defensemen Brooks Orpik and Nate Schmidt fed the puck to Ovechkin for his team-leading seventh goal of the year. 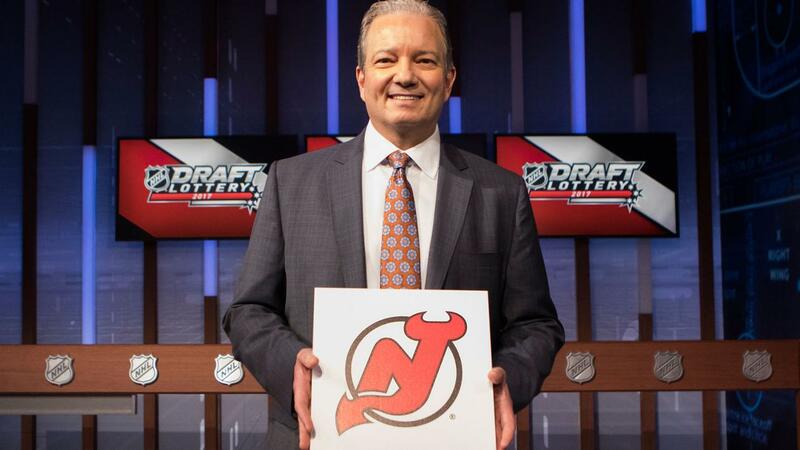 Two minutes later, Oshie flicked a goal past Florida goalie Roberto Luongo, putting Washington up 3-2. Oshie’s sixth goal of the season and second of the night came on assists by forward Nicklas Backstrom and Schmidt. Oshie scored his first goal of the game in the second period. Ovechkin handled the puck up the ice during a two-on-one break and passed it to the open Oshie for an assist. Later, forward Lars Eller scored the game’s final goal off the deflection of John Carlson’s shot. 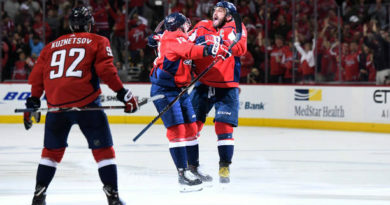 The 14th minute, third period goal started with assists from defenseman John Carlson and forward Andre Burakovsky and increased the lead to 4-2. The Capitals put continuous pressure on Luongo during the second and third periods, and he stood his ground until Washington’s third period binge. Luongo ended the night saving 32 of the Capitals’ 36 shots. On the opposite side of the ice, Washington goalie Braden Holtby saved 22 of Florida’s 24 shots on goal. Panthers forward Jared McCann gave Florida the 1-0 lead in the first period, notching the first of the two goals Holtby allowed. Defenseman Alex Petrovic and forward Denis Malgin assisted McCann’s first goal of the year. In the second period, Panthers forward Reilly Smith scored while the Capitals were on power play. Forward Vincent Trocheck and defenseman Jason Demers earned assists on the goal that reclaimed a 2-1 Florida lead. The Panthers’ offensive push was greatest in the first period when they put 11 shots on goal to the Capitals’ six. However, the offensive tide turned in favor of Washington after the first intermission. The Capitals took 30 shots in the second and third periods while the Panthers shot 13. Washington has won 10 of Florida’s last 11 trips to the Verizon Center. Although the Capitals pressured Luongo during power plays, Washington continued its struggle with a man-advantage. The Capitals went 0-4 on power play Saturday. Washington has not scored in their last 20 power plays against Florida. The Capitals improved to 8-2-1 and moved into second place in the Metropolitan Division, pending the result of the Pittsburgh Penguins’ game. The Panthers dropped to eighth place in the Atlantic Division with their 5-6-1 record. Washington faces the San Jose Sharks at home Tuesday. Florida travels home to host the Tampa Bay Lightning Monday. Great sports article!! Keep them coming Jacob! !